Integrate support and development teams through the integration of Agile projects and Zendesk Support. 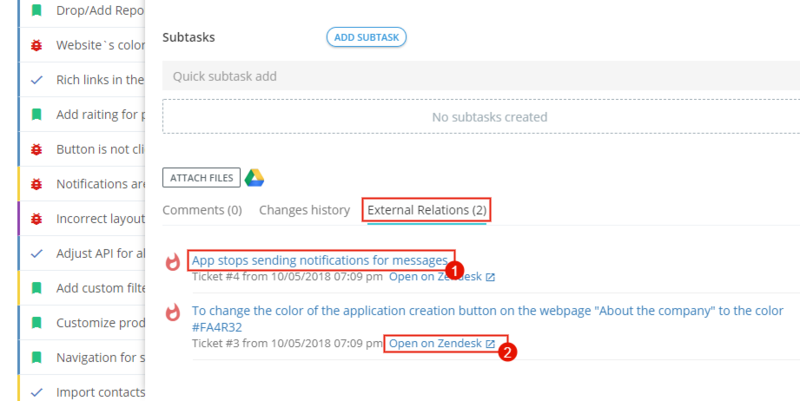 Information about related issues will be displayed as links in the Zendesk tickets, and related tickets in Flowlu- in the issue card. 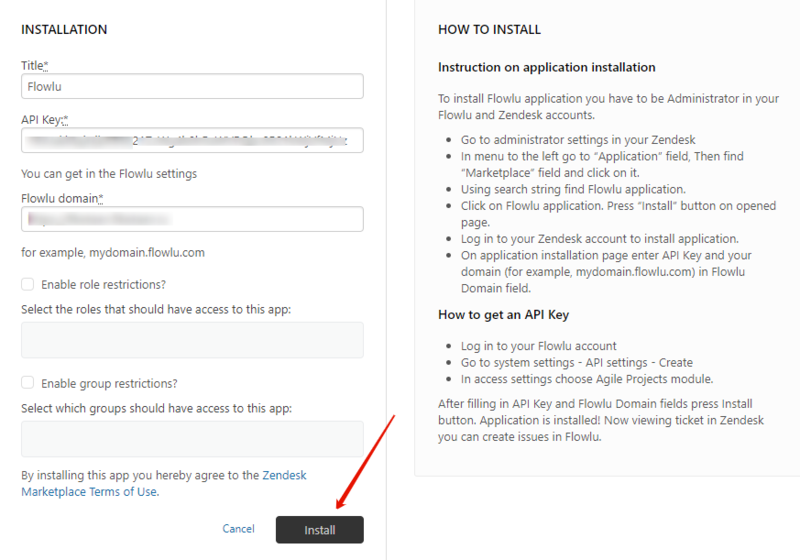 To install Flowlu, you must have the administrator rights for your Flowlu and Zendesk accounts. Go to the administrator settings in your Zendesk. In the left menu, find the item "Application". Next, find the item "App Store" and go to it. 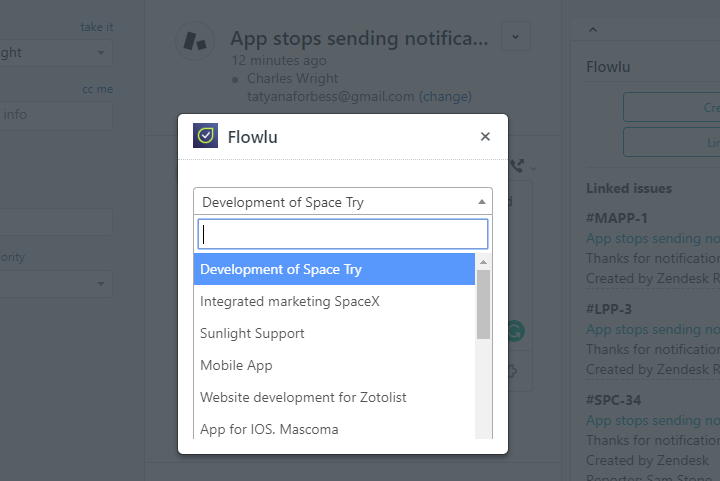 In the search bar find the application Flowlu. Click on the Flowlu app. On the opened page, click "Install." Log in to your Zendesk account to install the application. Now you need to generate an API key in Flowlu. Log in to your Flowlu account. Go to Main Settings → API Settings → Create. 3. In the access settings, select the application Agile Projects, specify the name and save. 4. Copy the received API Key and specify in the application settings. 5. Enter your portal address in the Flowlu Domain field and click the "Install" button. The application is installed! 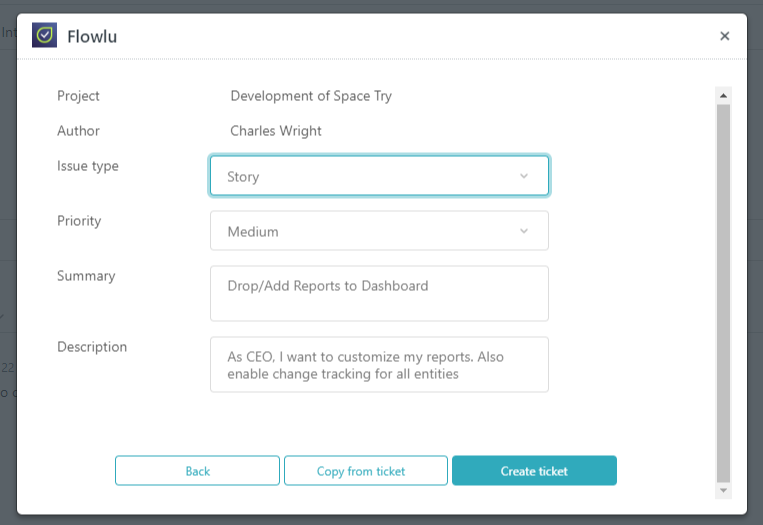 Now, when viewing a ticket in Zendesk Support, in 3 clicks you can create issues in Agile projects or link them with existing ones. To do this, open the ticket, click the "Applications" button (1) and click on the “Create issue” or “Link issue” buttons (2). Choose which project the issue belongs to if you have several projects in Agile. Choose Issue type, set priority, add description or copy from the ticket. 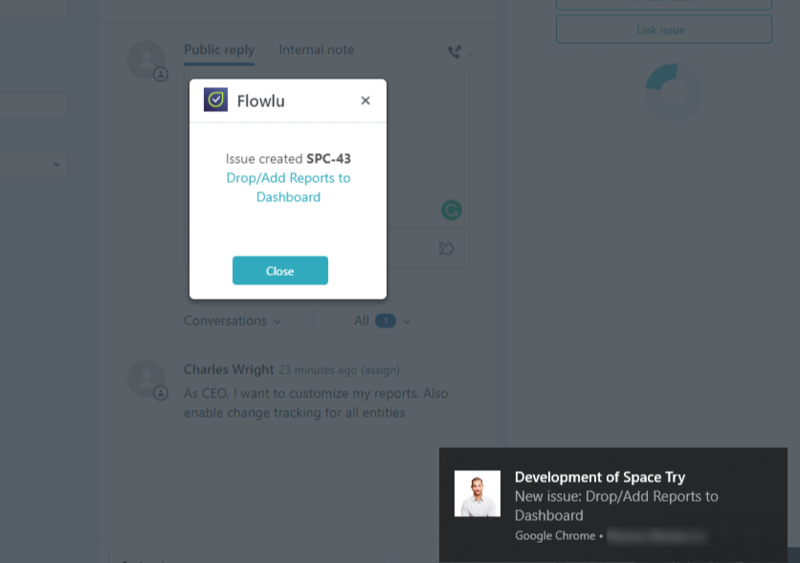 Next, when going to Flowlu, you can assign a responsible person for the issue and add it to the sprint. 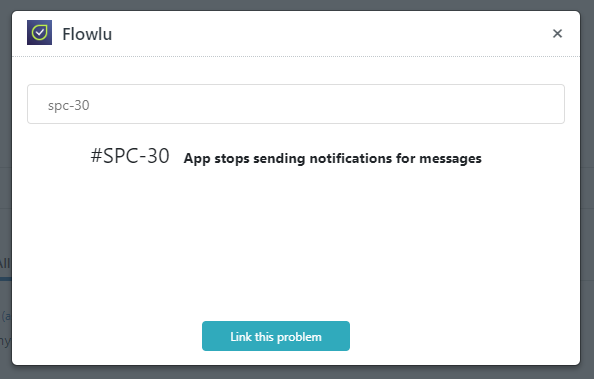 Assign yourself as the issue creator so that you will receive notifications about changes in the issue. If the ticket in Zendesk is an addition to the existing issue in Agile, or just a duplicate, then you can link the ticket to the issue. To do this, specify the prefix and issue number in Flowlu. Tickets from Zendesk will be displayed in the issue on the External Relations tab. Here, the ticket number in Zendesk, the last comment, the date and time of creation are displayed. By clicking the link, you can go either to the detailed page of the ticket (1) in Flowlu to view the last comment or immediately in Zendesk (2). You can link several issue in Flowlu to each ticket in Zendesk, and several tickets to each issue. Thanks to this, developers will see which issues are in priority and which ones can wait. 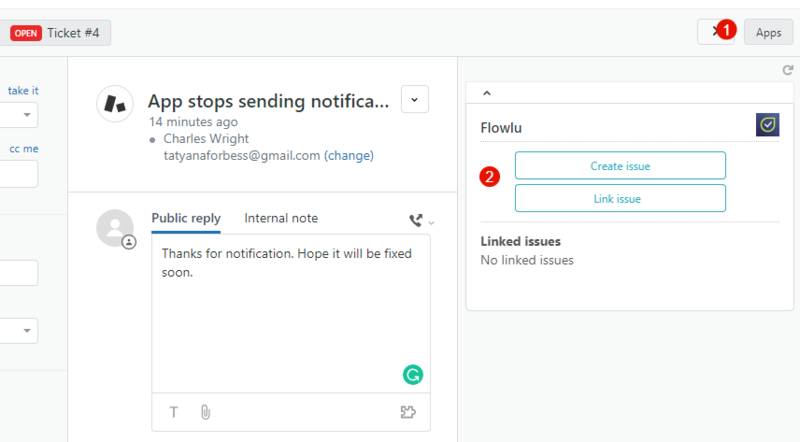 As soon as the issue is completed, the creator and project manager will receive a notification in Flowlu and will be able to promptly notify the client.